It has been rainy and cold at my house for the last few days, and I am absolutely loving the fall weather! It's supposed to stay cooler for the next week, and I'm excited to squeeze in as many fall activities as possible. 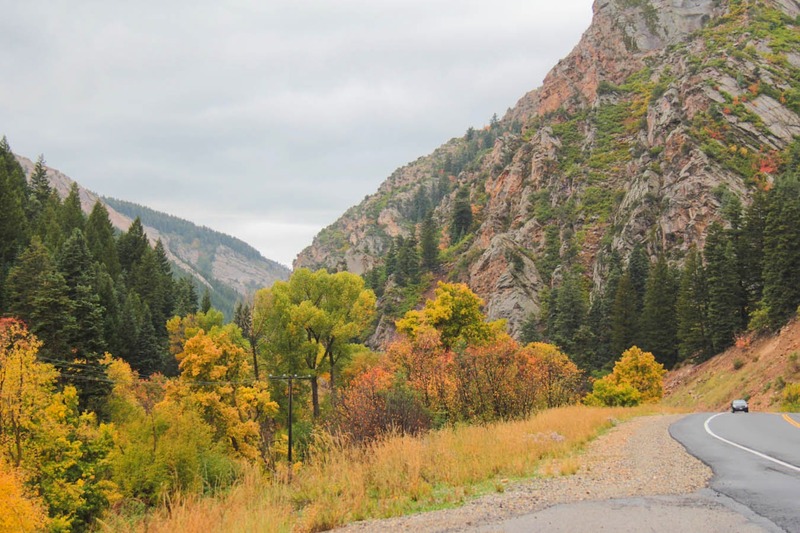 Last week we drove up the canyon to see the leaves, and it was incredibly beautiful. Sometimes I forget that I actually do live in a beautiful place, since I get so used to seeing it every day. 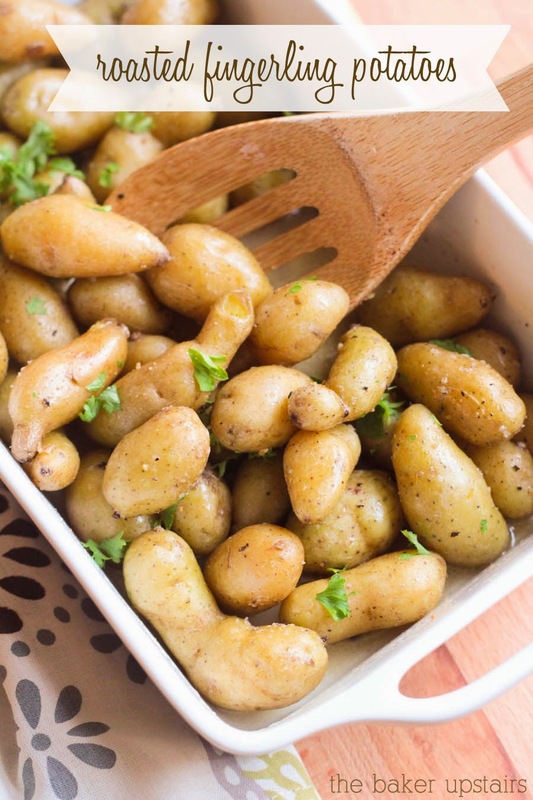 With the cooler weather, I've been really enjoying cooking more comfort food lately, and these fingerling potatoes are just that! They're really quick and easy to throw together, and super delicious! My kids have always been really ornery about eating potatoes, but I finally figured out the trick of telling them that they are eating french fries instead. :) Lizzy kept giggling over her plate and saying, "Those are the fattest french fries, Mom!" This is a great recipe that is really versatile and could go with any number of main dishes. I'm excited to make these potatoes again soon! Preheat the oven to 375. Place the potatoes in a 9 x 9 baking dish. Pour the chicken broth over the top. Sprinkle with salt and pepper and toss to coat the potatoes evenly. Lay the slices of butter over the top of the potatoes. Cover with tin foil and bake for 20-25 minutes, or until the potatoes are easily pierced with a fork. Uncover and let cook another 10 minutes to allow the skins to get a little crispier. Remove from the oven and toss with the remaining cooking liquid, then sprinkle with fresh herbs. Serve warm.